Its little delight to say that Marketcalls is stepping into its 5th Year. Started on 11th September,2007 and still now the journey of my life with marketcalls is exaggerating and it had offered me a chance to explore the world of technical analysis. Marketcalls in the past 4 years had experienced various tough stages and situations and still kept running to serve the needs of traders and investors. Exploring New Ideas, Innovation and Intelligence are part of Marketcalls. My life and love with Marketcalls will never end, its a endless journey. Congratulations !!! Carry on with the same spirit and zeal . Marketcalls is covering various aspects of Trading which are hard to find on Net. Adding to it your helpful and hardworking nature makes it quite Unique. CONGRATULATIONS Rajandran ,Love ur work. My best wishes to you on the momentous occasion!We look forward to learn many more things from here! Congratulations Rajendran for completing 5th year and providing such a different aspect of trading through site. Congratulations Rajendran, hope you make it 25, all the best for the immediate future. Also a feed back on hdfc needs your attention, so do charts only reflect the true picture or we have another entity also in the form of liquidity and sentiments, all the best. Sir your work is great and fine…. Go on and help us…. 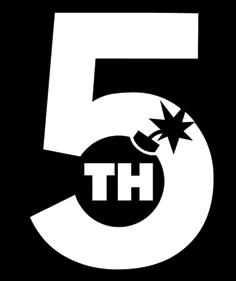 Happy 5th Year…. Keep up the good work foe long long time…. its really wonderful to go through MarketCalls.in on regular basis. I would like to ask you-your opinion- Which according to you is your best post till now.??? Great.. This is just the beginning.. !! Congrats.. Keep up the good work.. I really like the amount of data suggestions you give! My Goodness…It’s been 5 Years ….. GR8….I’m with you since last 3 years…. It has been wonderful knowing you and your blog. Best wishes for many many years of further blogging that helps one and all. Congrats. Great learning experience by going through your posts.